The Saône and Loire is in the southern part of Burgundy. 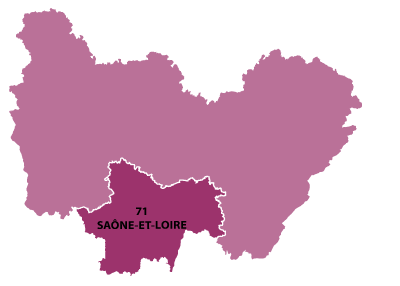 The department is named after the two important rivers, the Saone which flows to the south and the Loire which flows to the north west. Industry is set along the rivers banks, whilst the plains offer a fertile soil for agriculture. The regional park of the Morvan provides a semi-mountainous area, with granite and a dense forest. 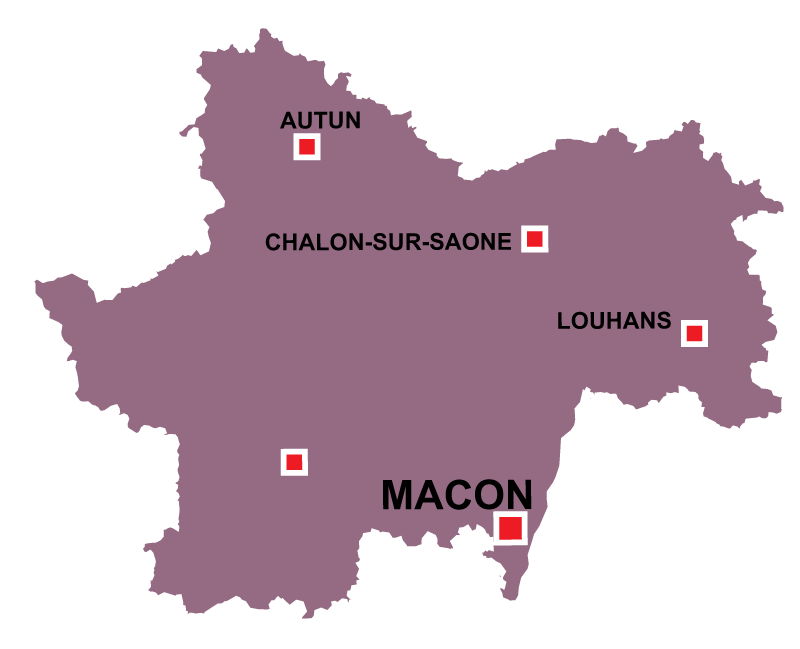 The Chalonaise and Maçonais wines are fruity and light, offering an alternative to the heavier Burgundy wines found further north. The town of Macon is on the river Saône. La Maison des Gardes : The House of the Guards has belonged to the same family since 1703, set in secluded park with very old trees. The house offers bed and breakfast with five rooms and also a self-catering house for up to 7 people. Situated in the heart of the historic town of Cluny. Property, homes and land for rent or sale. This local estate agent offers a quality service with more than 30 years experience. Expert advice and information is available. 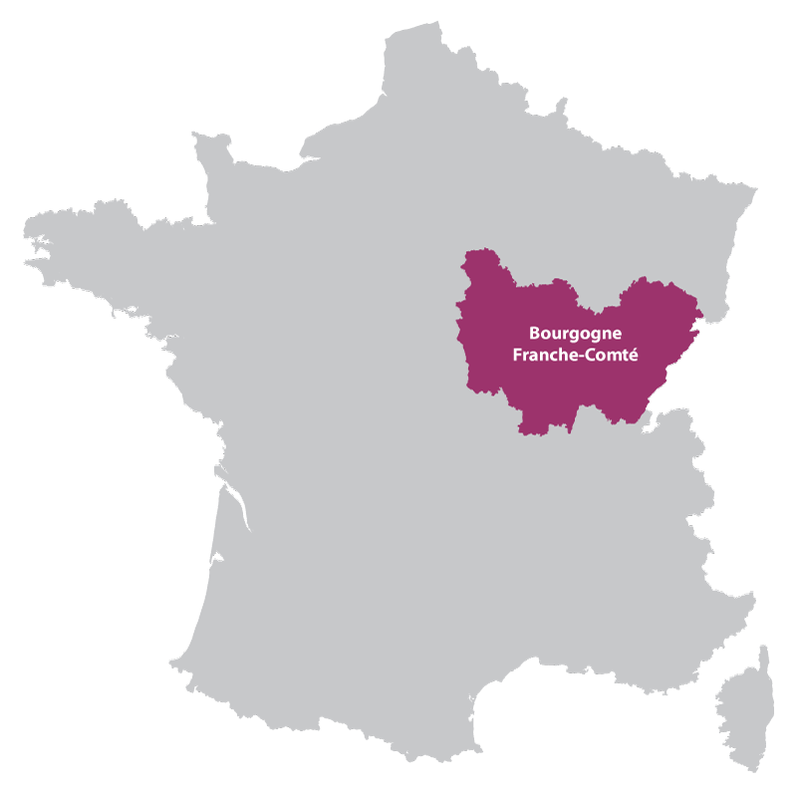 Burgundy on a Plate : Burgundy on a Plate is one of the most experienced and appreciated tour guides of the vineyards, wine cellars and local gastronomy in Burgundy.